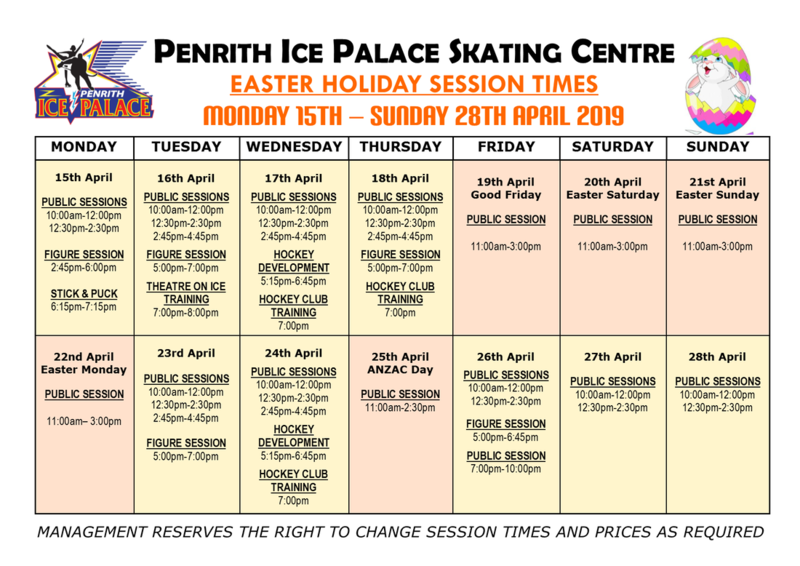 WELCOME TO PENRITH ICE PALACE! We are western sydney's olympic size ice skating centre. Browse through our website for all the latest information. For session times and more information please CLICK HERE. Winter wear: Long pants, Long sleeve shirts, Jumper, Jacket, Gloves, Beanie, Long thick socks... etc.